In preparation for rereading A Christmas Carol I thought I'd like to see a couple of movie adaptations as well. Somehow I've managed to reach my mid-40's without ever seeing one! Last night we watch Scrooged (1988) starring Bill Murray. 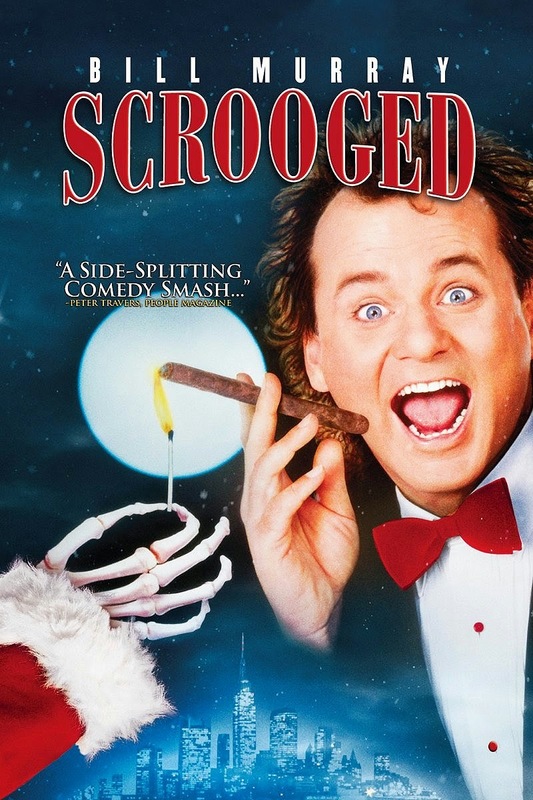 Scrooged portrays a modern day Scrooge as a young, successful but ruthless TV executive. Made in the "greed is good" 80's, many of the movie trailers started with "now more than ever, we need this story..."
But sadly everything about this movie is now dated - the hair! the high waisted jeans! the basic graphics and special effects! Bill Murray was very OTT the whole way through the movie - obviously the director was unable to reign him in on this movie. And the movie sufffered for this excessive over-acting. It may have been "side-splittingly" funny in 1988, but now it was barely amusing. However the message of family, goodwill & charity that is A Christmas Carol still managed to shine though. Today I started reading the book. My Folio Society edition has lovely large font, thick paper and lots of illustrations. But I'd forgotten how quickly one can read this story. In an attempt to honour the process a little more though, I've slowed my reading right down. "It is required of every man," the Ghost returned, "that the spirit within him should walk abroad among his fellow men, and travel far and wide; and if that spirit goes not forth in life, it is condemned to do so after death. It is doomed to wander through the world - oh, woe is me! - and witness what it cannot share, but might have shared on earth, and turned to happiness!" I hope you have a wonderful Christmas, Brona, with plenty of bookish surprises and lots of relaxing time to enjoy them! I tried to get both Scrooged and Lethal weapon by neither of the libraries I belong to carry those movies. Of course, Love Actually had a million holds on it. 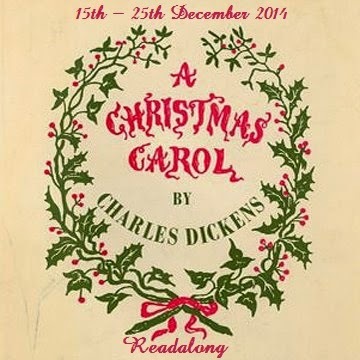 I listened to the audio book for A Christmas Carol and it was such a great tale for this time of year! I truly enjoyed it. I just rewatched Scrooge recently too. I hadn't seen it since I was a kid. Thought it was okay. I really like the 1984 version of A Christmas Carol with George C. Scott. And one cannot forget the Muppets version!